This Christmas, watch your alcohol intake as it’s very easy to drink too much at festive parties, only to get behind the wheel the next morning and inadvertently drive with alcohol still in your system. Alcohol slows your reaction time, inhibits judgement, reduces concentration and affects eye, foot and hand co-ordination increasing the likelihood of an accident. Remember one in five drink drive accidents happen the morning after! A personal breathalyser helps you to easily tell when alcohol has cleared your system the next day. It could be a life-saver for you, your passengers and other road users. 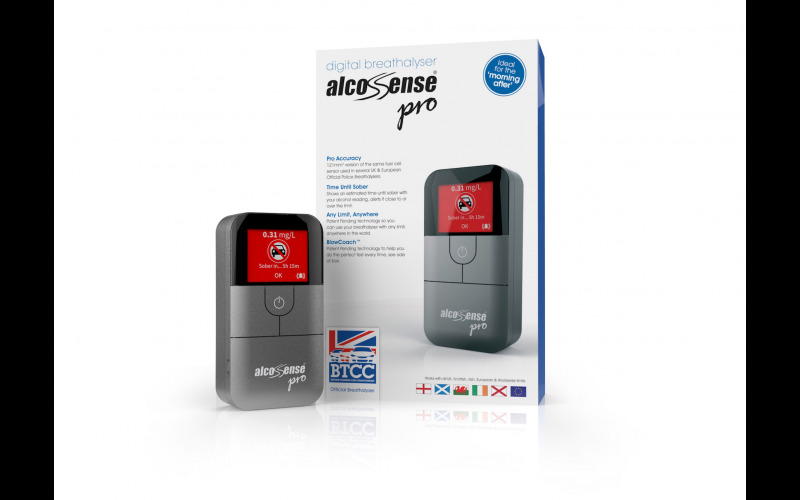 The AlcoSense Pro breathalyser uses a slightly smaller version of exactly the same sensor used in several UK, US & European Police breathalysers. So, it’s extremely accurate. It features a full colour screen that gives clear readings of your alcohol level and if you’re close to or over the limit the Pro will alert you not to drive. Its Blow Coach will help you blow into it correctly to improve accuracy even further and it’s temperature sensitive, so even if there is the biggest snowfall for 30 years, the Pro will give you a correct reading.